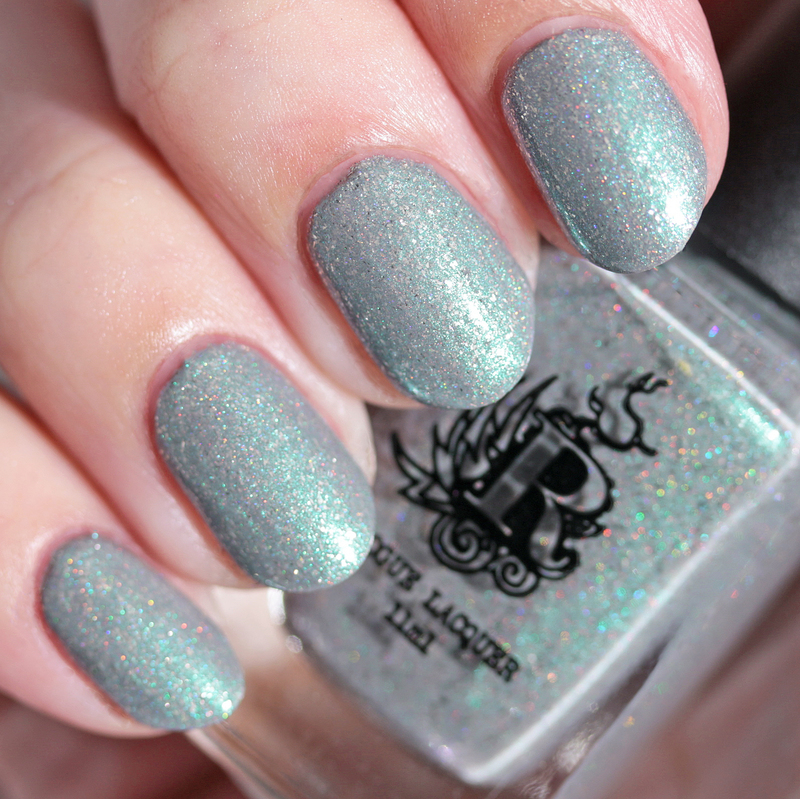 I'm thrilled to share the debut Spring Punk Collection from Rogue Lacquer. 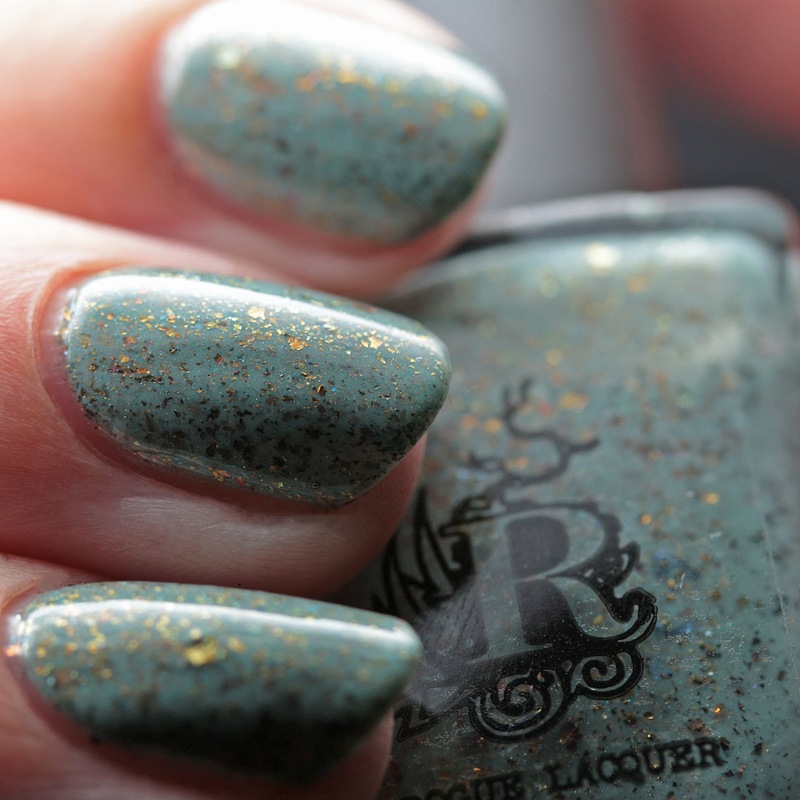 This is a new brand started by Rachel, formerly of Ever After Polish, with a grittier steampunk aesthetic! 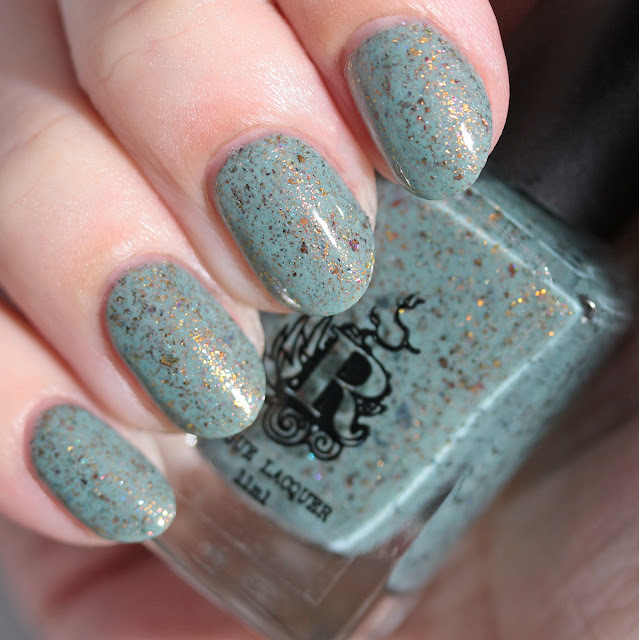 The first release contains four polish shades, wax loaves, and wax bark. The shop launches on Sunday, April 15 at 7PM PDT. Let's check it out! 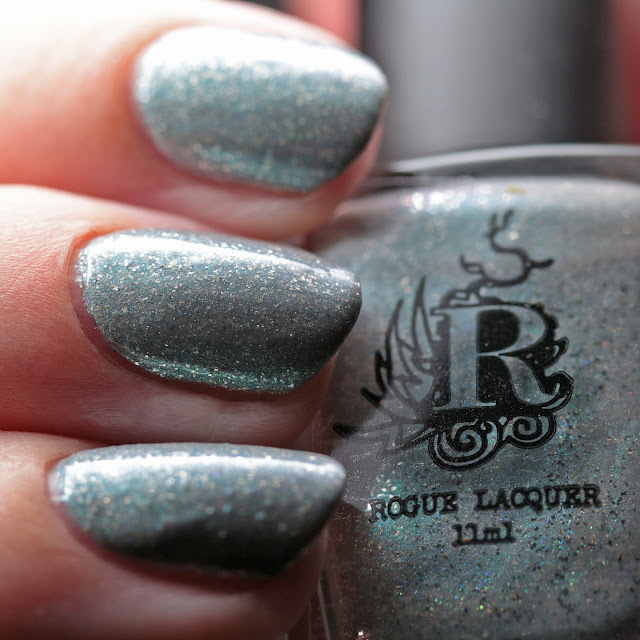 Rogue Lacquer Blowing Off Steam is a light blue-gray with aqua-to-blue duochrome shimmer, scattered holo shimmer, and silver microflakes. I wore it in three thin coats, though two will do. 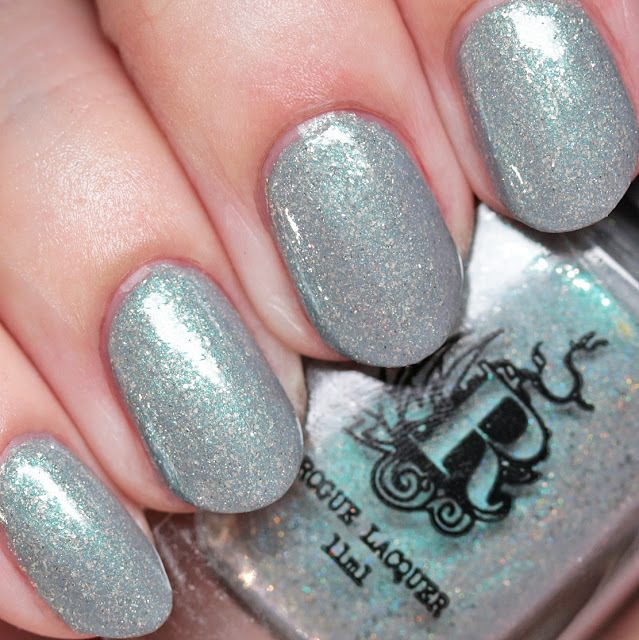 It has a nice quick-drying formula and the silver flakes are super-sparkly in person. 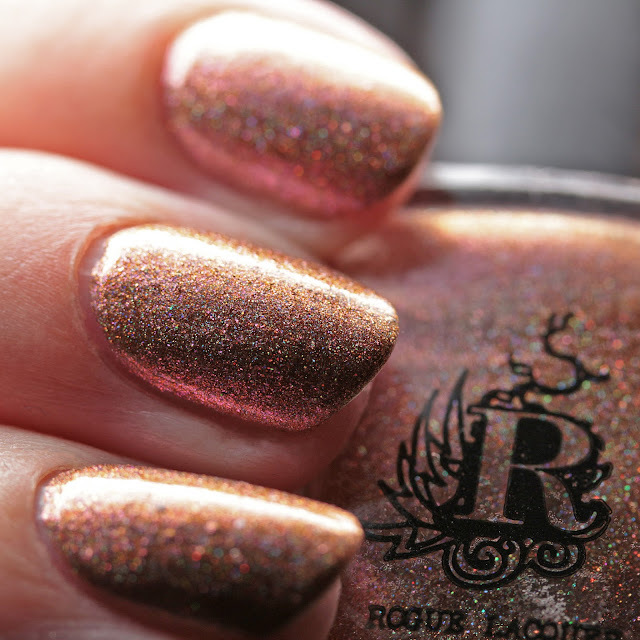 Rogue Lacquer Grinds My Gears is a bronze metallic polish with copper-to-gold duochrome shimmer, pink-to-gold duochrome microflakes, and strong scattered holo shimmer and gold holo microglitter. 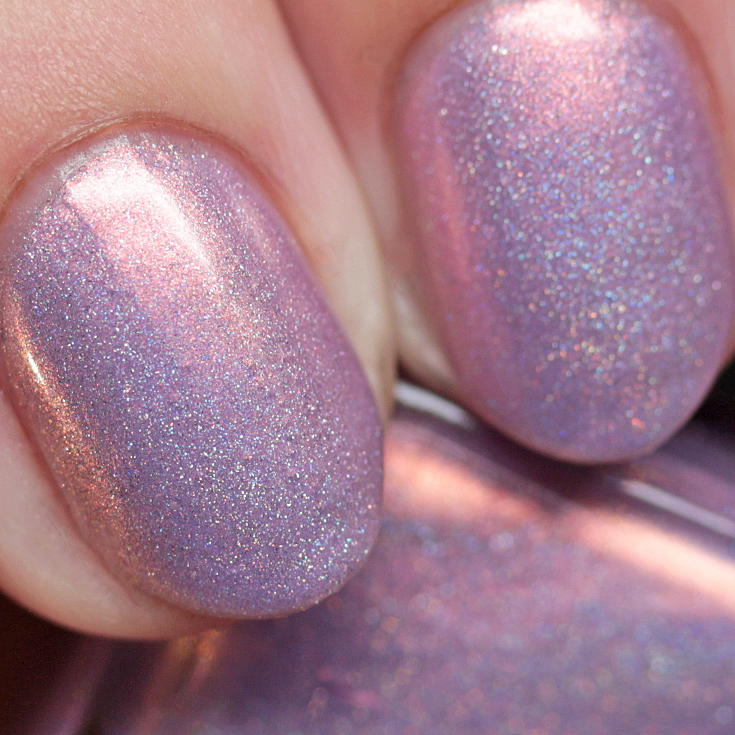 I wore it in three thin coats and it had a good, fast-drying formula. In spite of the glitter, it was fairly smooth. 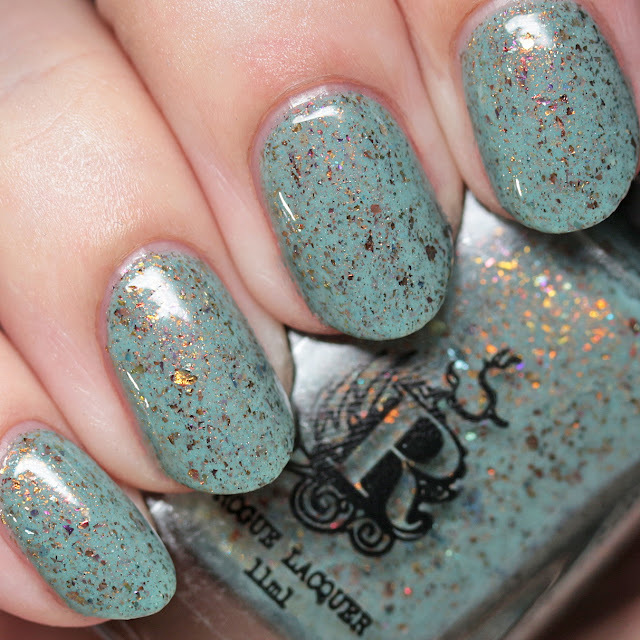 Rogue Lacquer Retro Future is a muted seafoam green jelly with scattered holo shimmer, turquoise microflakes, and magenta and gold to green multichrome flakes. I wore this in three thin coats and it had a great formula. 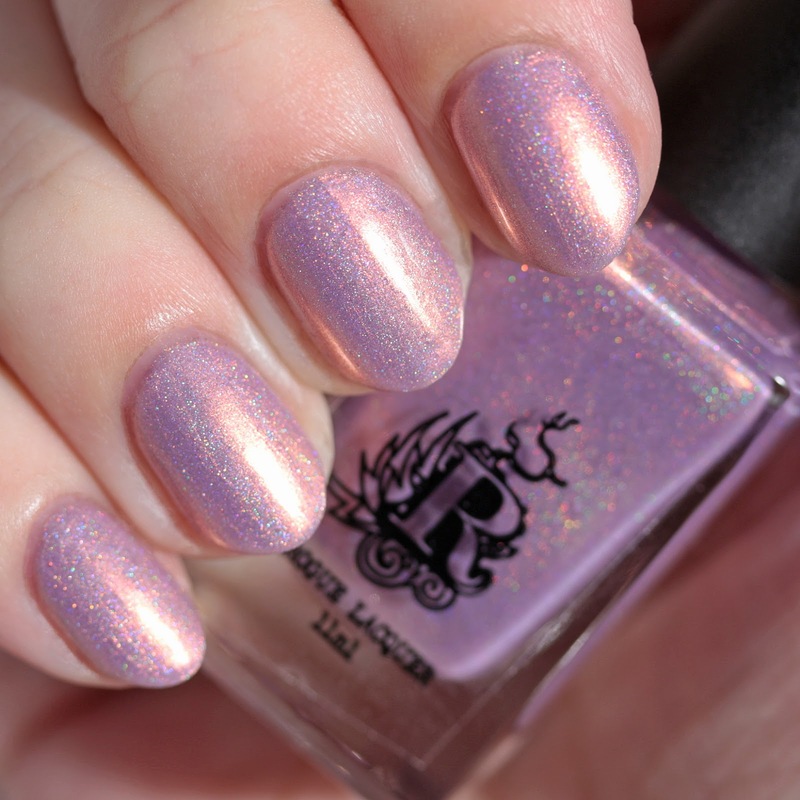 Rogue Lacquer Steam Punk Fantasy is a lavender jelly with red-to-gold multichrome shimmer and linear holo. I wore this in four thin coats but three will do. This has a nice, quick-drying formula and lots of sheen. 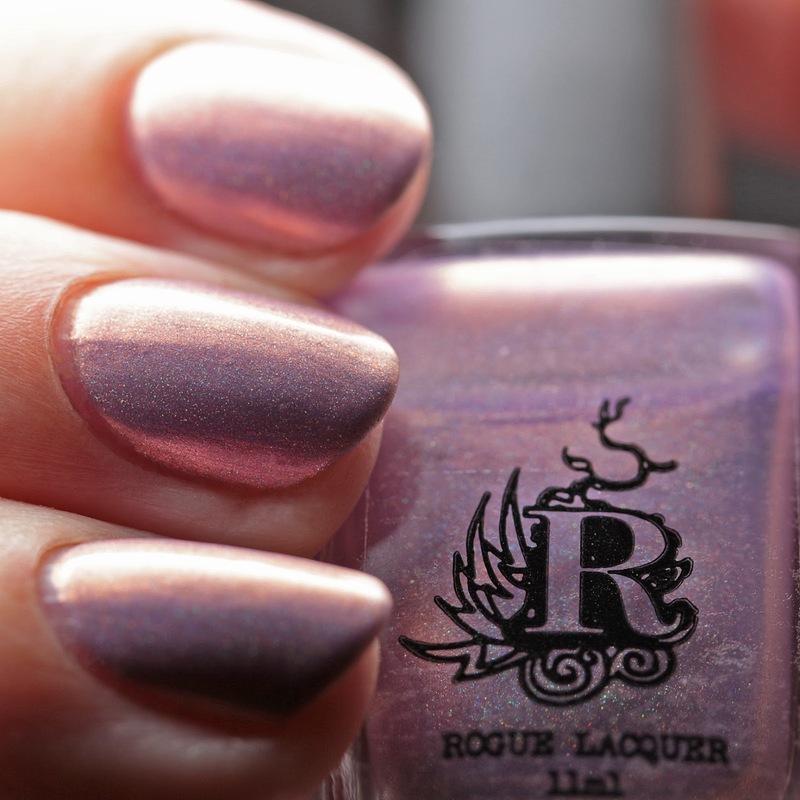 Even though Rogue Lacquer is a new brand, Rachel has many years of polish making under her belt and these polishes perform as such. I love the steampunk look of the brand logo and the well-edited and cohesive quartet she is launching as a debut. Each of these polishes will be $10, but you can buy all four as a set for $38. Also the first 30 orders get a free polish! 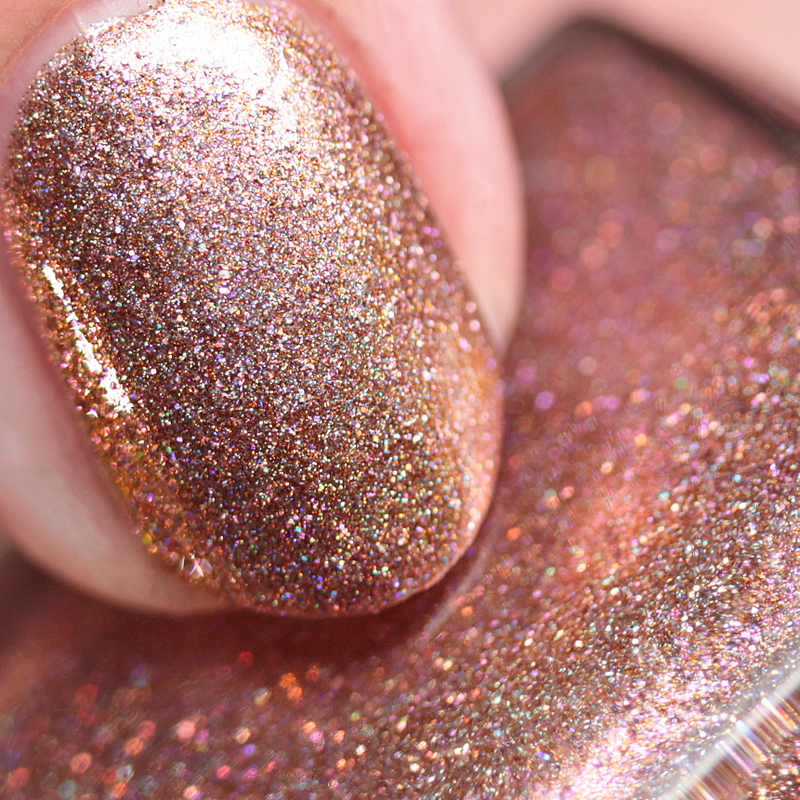 The launch is Sunday, April 15 at 7PM PDT, so be on time for a chance to get the free polish. There will also be steam punk themed wax loaves for $13 and wax bark for $5. I can't wait to see what Rachel does next!